Who we are? 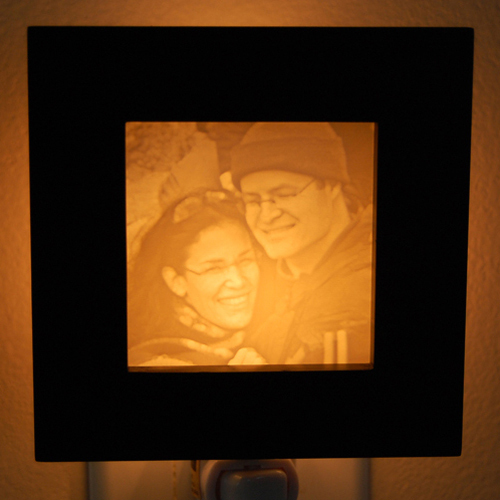 Light Affection, maker of personalized lithophanes since 2002. Based on photos we carve a piece of durable material in the lithophane technique and assemble it into a complete personalized and magical light. 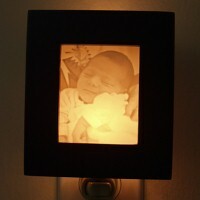 About the product: The Personalized Night Lights have a wooden black frame and come complete with a On-Off switch that plugs into the electric socket. The frame can be rotated to face in different directions. These night lights are perfect as Valentines Day gifts because they work well for two subjects and close-ups. The Night Lights are perfect for the master bathroom. More details: Each Night Light is $44.95. It takes 2 weeks for production. Expediting production is an option.